We have what the ancients called "rain" coming back to SoCal this weekend. Because when you have the freedom from your job to enjoy the wonderful weather of LA, forces conspire to ruin you weekend. Or maybe just set the mood. 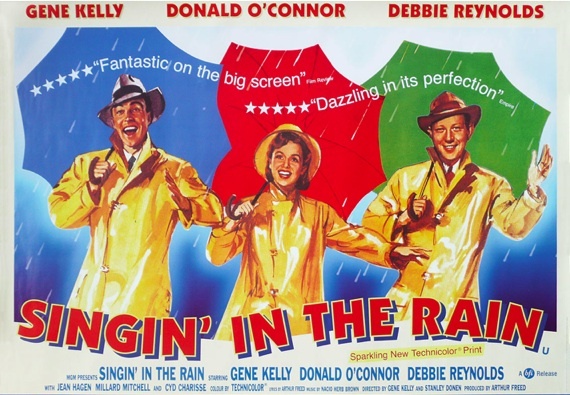 Because the TCL Chinese Theatre is turning 90 this May, there's going to be some special showings and this Sunday we get the pre-La-La-Land, we get Singin' In The Rain. 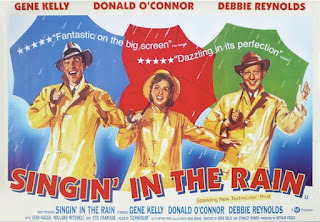 A special commemorative postcard features Debbie Reynolds and accompanies each ticket redeemed. Other upcoming titles include that feature the iconic theatre are “The Majestic” (Jim Carrey) March 12th at 9am, “Cat’s Don’t Dance” (animated) in April, “The Aviator” (Leonardo DiCarprio) in May, “A Star is Born” (1937 version) in June, “Escape from L.A.” (Kurt Russell) in July, “Rush Hour” (Jackie Chan) in August, Mel Brooks’ “Blazing Saddles” (Gene Wilder) in September, “Hollywood Homicide” (Harrison Ford) in October, “The Italian Job” (Mark Wahlberg) in November and “Day of the Locust” (Donald Sutherland, Karen Black) in December. (Check the theatre website for specific dates and ticket availability).